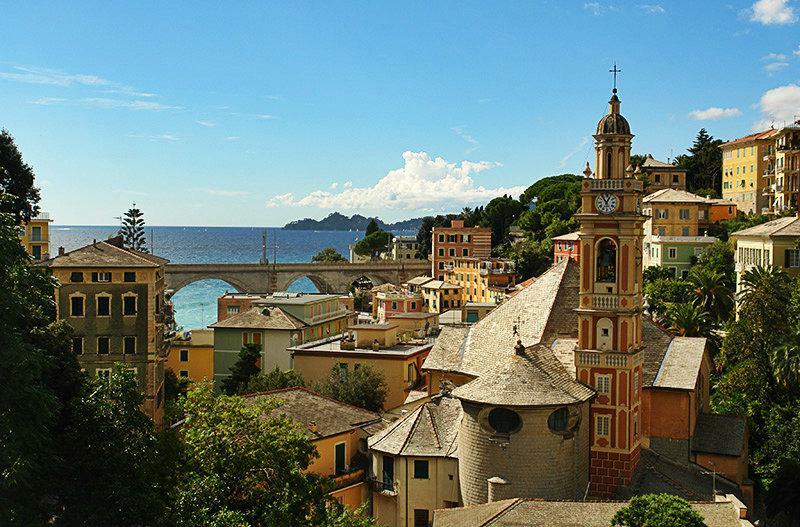 Spend your holidays in the beautiful coastal town of Zoagli in Liguria, Italy. 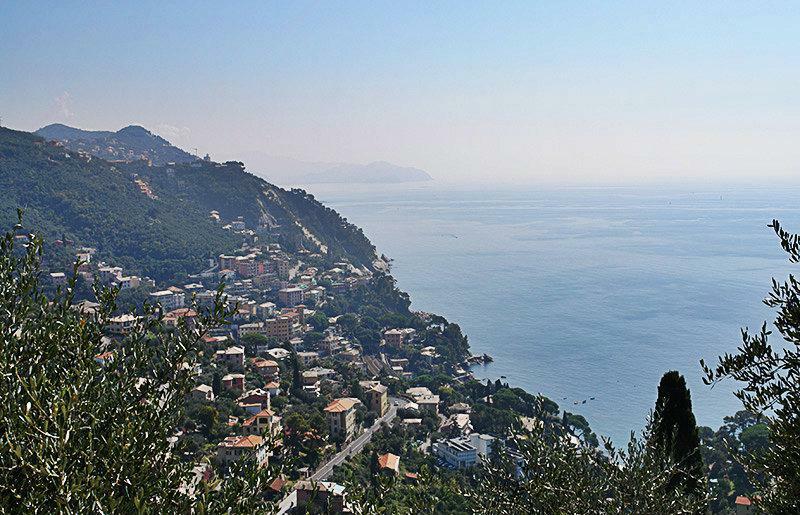 The well-known cliff- and mule paths run along the Mediterranean Sea. 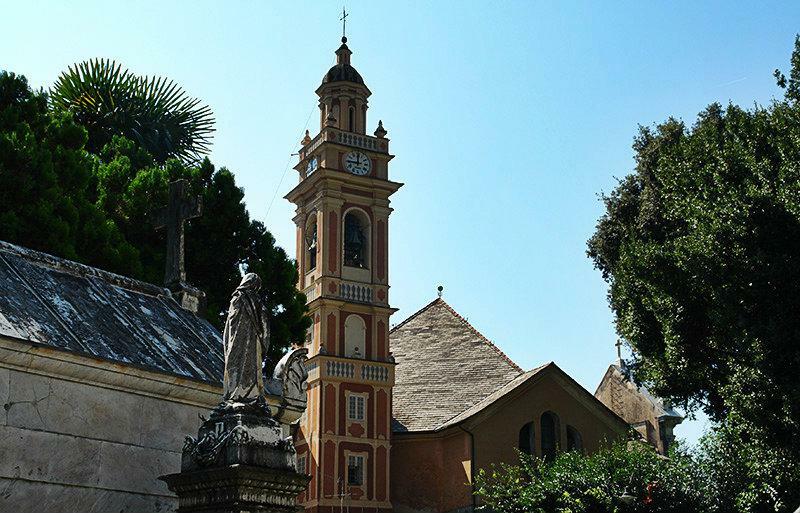 These numerous small roads connect Zoagli with the surrounding districts like San Pietro di Rovereto, San Pantaleo or St. Martin. They start from the natural amphitheater, which is located in the center. 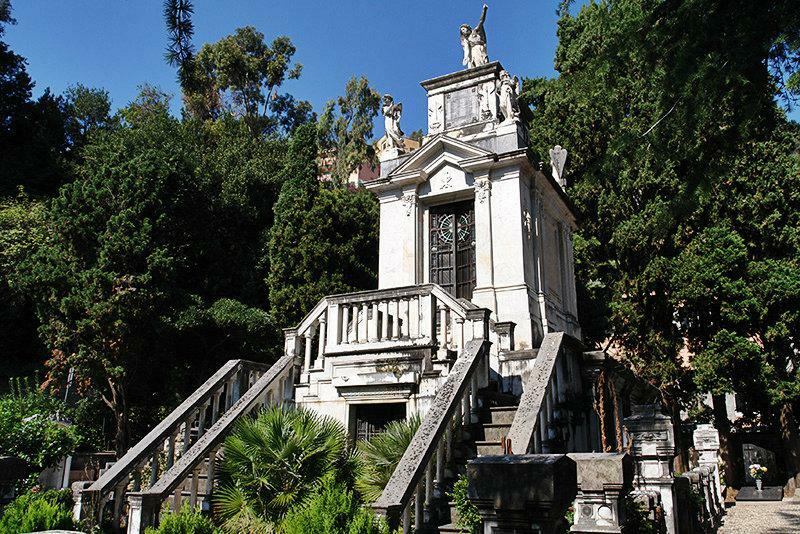 Whoever visits Zoagli should have explored one of these paths! 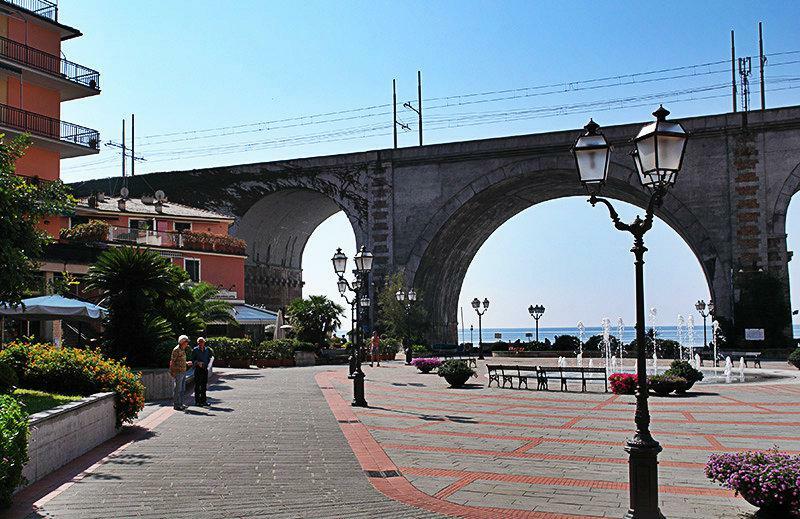 The Canevaro promenade beckons one to undertake other wonderful walks. It takes you along both sides of the central beach and was built in the last Century by the inhabitants. A new promenade was built in 2003. The Mariners promenade makes it possible to undertake a fascinating journey through rocks and bays along the coast even in winter. 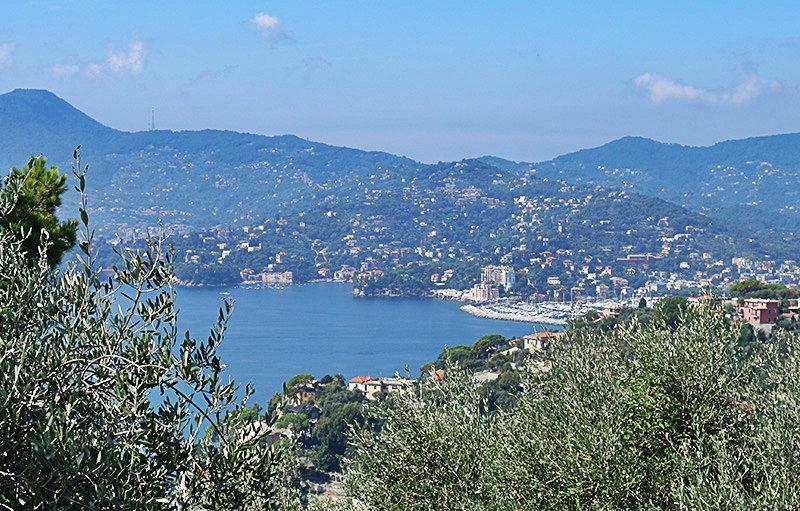 Surrounded by pine and olive trees, tropical plants and flowering shrubs you can enjoy your holiday in Zoagli to the fullest. A view from the window over the magical landscape, to the bays and gravel beaches casts a spell on every visitor. You can also expand your horizon under water here. Zoagli’s seabed is particularly suitable for diving. In addition to the diverse marine flora and fauna one is able to admire the statue of Our Lady in the depths of the sea. 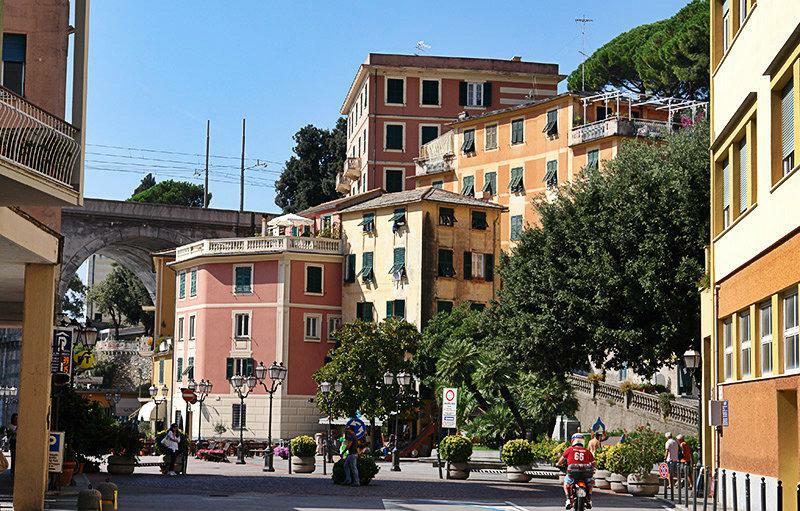 The ancient coastal town of Zoagli lies in the Province of Genoa. 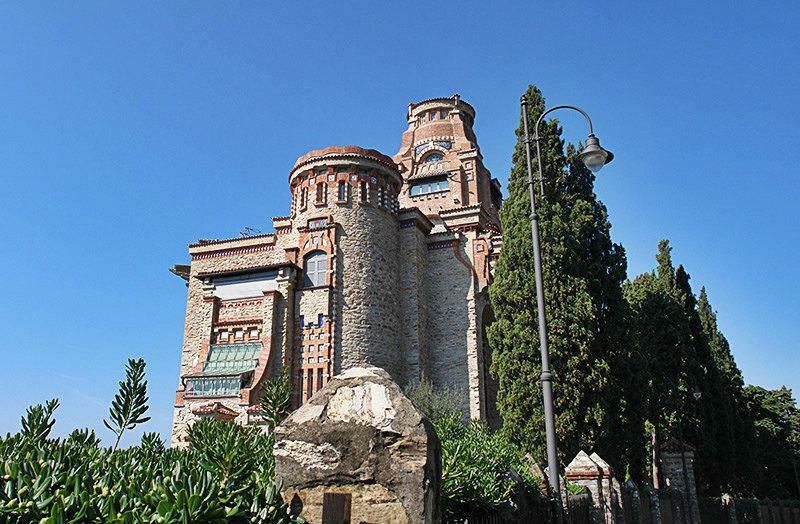 It is located between Chiavari and Rapallo and is embedded in the Gulf of Tigullio. 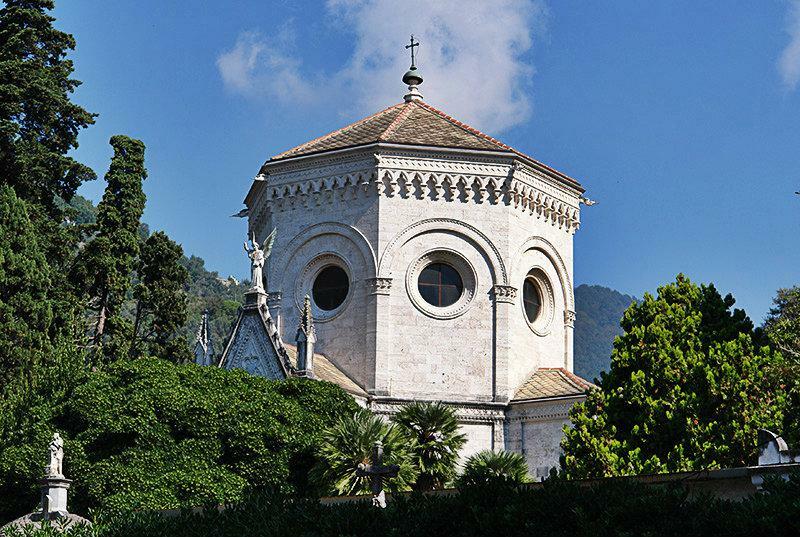 Zoagli's landmarks are the two fortified towers that were built in the 15th Century. They not only enhance the city image but decorate the coat of arms as well. There are two towers on the court of arms: The tower with a blue background represents the sailors and the one with the yellow background is for the weavers. Silk was woven here in the Middle Ages and velvet in the 16th Century. Zoagli is well known for these fabrics, since they are exported to many distant lands around the world. Unfortunately, there are now only two weaving mills, the Ditta Gaggioli and the Ditta Cordani which operate this craft. The eastern fortified tower was newly restored in the 18th Century and today, weddings, exhibitions and cultural events in particular take place here. The western fortified tower with the Canevaro Castle is however privately owned. 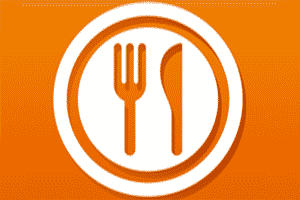 It can be rented for private parties. 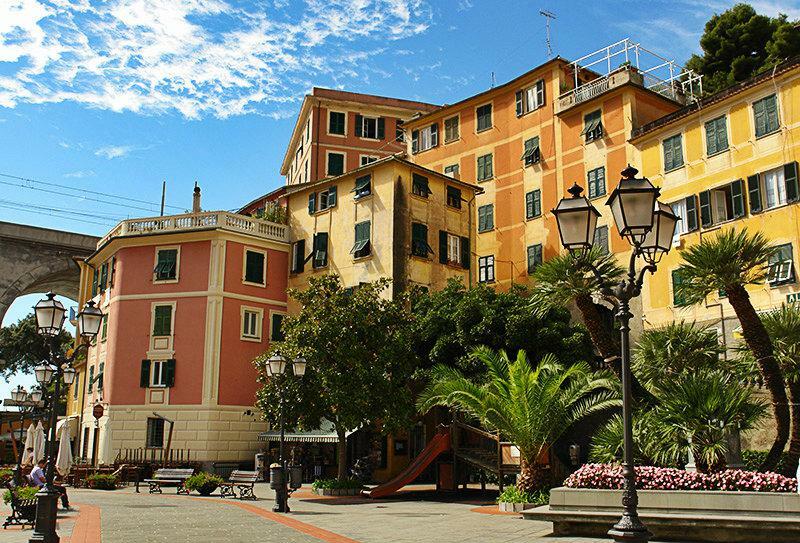 Zoagli is a village in the province of Genoa located in the Liguria region. 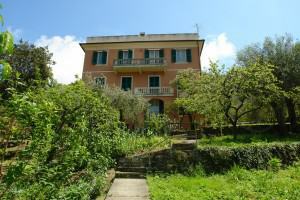 Near Zoagli are several other villages like: Campodonico (12.3 km), Villa Oneto (14.3 km) and Semorile (3.6 km). 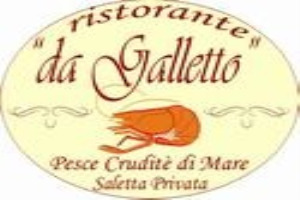 Take the highway exit to Rapallo when coming from Genoa, then drive towards the SS1 and follow it up to Zoagli.